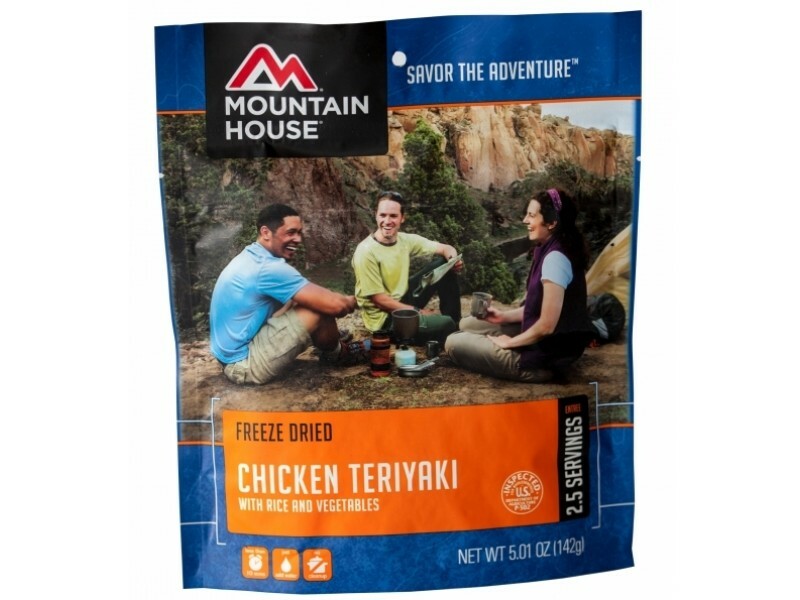 Chicken teriyaki from Mountain House is a great tasting meal that you can enjoy in almost any situation. All you have to do to prepare this delicious food is open the pouch, and add in the recommended amount of hot water. It will cook in just a few minutes, and then you can enjoy it. The pouch is vacuum sealed, so it will last for 20+ years on the shelf without an issue. Whether you’re saving it as part of a disaster preparation program, or you want to take it camping, or it is just a convenient meal you can make any time, you’ll love having this great food available to you. 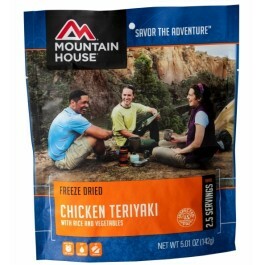 The Mountain House chicken teriyaki comes in a single pouch that contains 2.5 servings of one cup each. Each serving will provide you with important nutrients, including 10 grams of protein, 230 calories and 2 grams of fat. These are all critical for staying strong and full during an emergency, or even while out camping or hiking. Regardless where or why you eat it, you’ll be happy to have such a great tasting meal that has so many essential nutrients. This is not just a great tasting, healthy food though. It is also specially made to be able to have an extremely long shelf life. 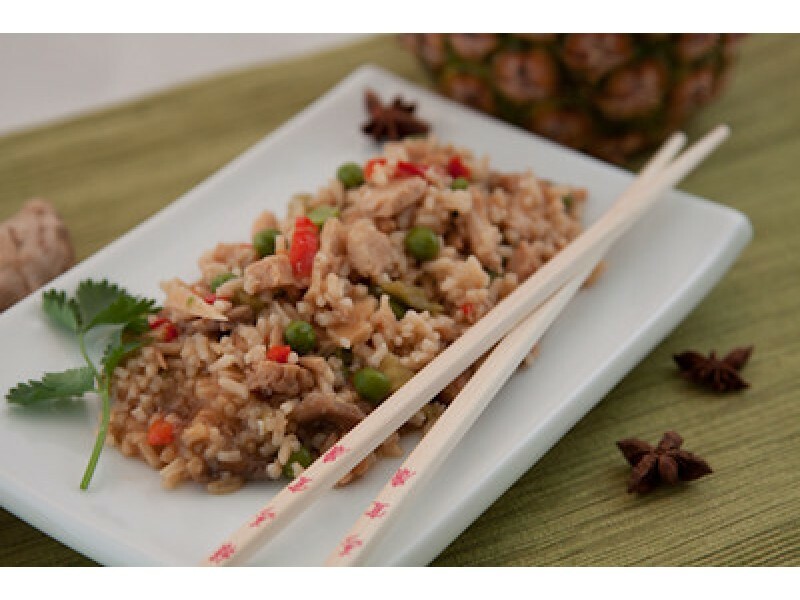 You can place the pouch of chicken teriyaki in your closet or pantry, and then come back to it after 20 years and it will still taste great. This is why it is such a popular choice for people who are preparing for disasters or economic meltdowns where normal sources of food will no longer be available. If you want to be ready for anything life happens to throw at you, this is a great product to have in your home or other emergency area.